Make your Windows desktop look like Ice Cream Sandwich | Android Blast! If you're an Android Ice Cream Sandwich fan, you can bring little taste of your mobile to your Windows 7 desktop. 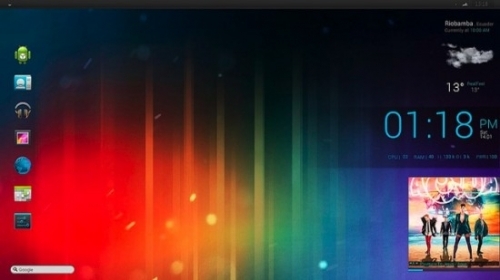 LifeHacker has posted detailed instructions on how to make your desktop look like Ice Cream Sandwich. It's not difficult to achieve, but it does take a little work. You would obviously use a specific wallpaper, but you'd also need some themes, skins, fonts, etc., to complete the task. Check out the source link below for the full run down.